Food safety is not only a popular topic in the news these days, but also in the cafeteria at work or in a restaurant at dinner. But do you really know how safe your food is? When preparing a meal, do you know what temperature means it's thoroughly cooked? And if you got food poisoning, could you recognize the symptoms? Test your knowledge of basic food preparation and safety with our safety quiz. 1. 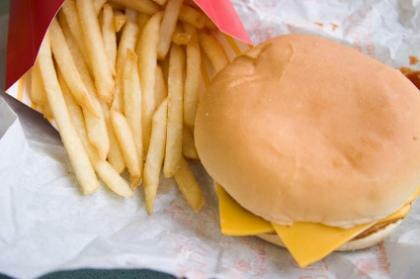 When ordering fast food, what should you be concerned with? Meals that are improperly cooked. It can put a strain on your budget. Oversized portions can lead to obesity.